Louisiana hat maker Miss DuBois is making a name for herself veiling Southern brides-to-be with her sophisticated designs. She’s also gaining a reputation for unveiling murderers . . .
Missy is shocked when she sees the asking price for the Sweetwater mansion . . . in a good way. With business thriving at Crowning Glory, it would be nice to set up shop surrounded by alabaster columns and gleaming mahogany. 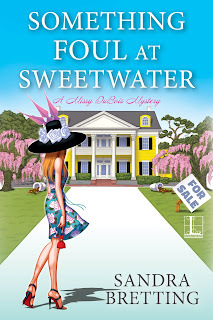 The Southern connections only deepen when it turns out the real estate agent is Mellette Babineaux, a college classmate and sorority sister. But when Missy drags her best friend Bo along to the mansion for a second look, they barely make it past the live oaks before they discover Mellette’s dead body in a shed. Now, for the sake of her college friend, Missy finds herself investigating everyone from a superstitious Cajun caretaker to a Rolls Royce-driving billionaire—and finding that lots of closet space can mean lots of skeletons, too . 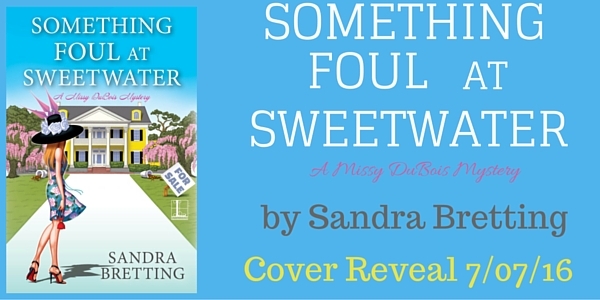 . .
Sandra Bretting has served as a freelance feature writer for the Houston Chronicle since moving to Texas in 1996. She received a journalism degree from the University of Missouri School of Journalism, and spent her early career in healthcare public relations at medical centers throughout Southern California. Other publications for which she’s written include the Los Angeles Times and Woman’s Day. Readers can visit her website at SandraBretting.com.